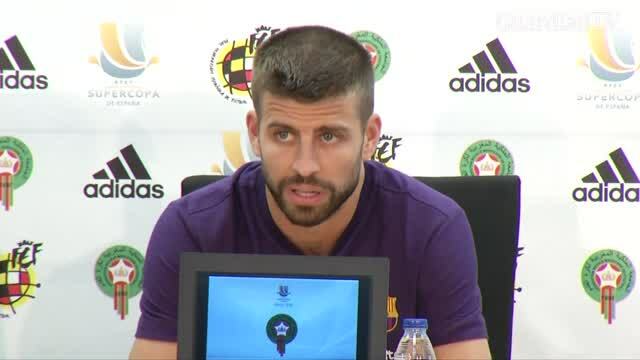 Barcelona defender Gerard Pique has confirmed on Saturday (August 11) he will not play again for the Spanish national team despite his former Barca coach Luis Enrique being appointed as coach. 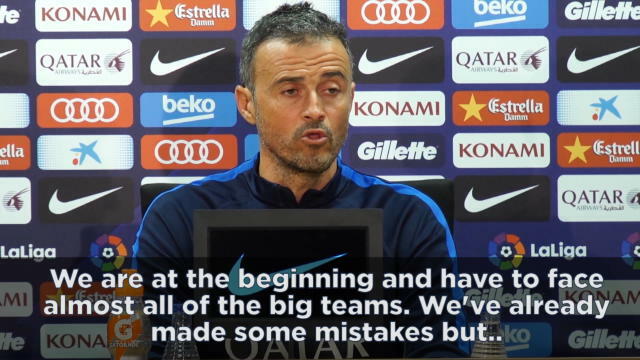 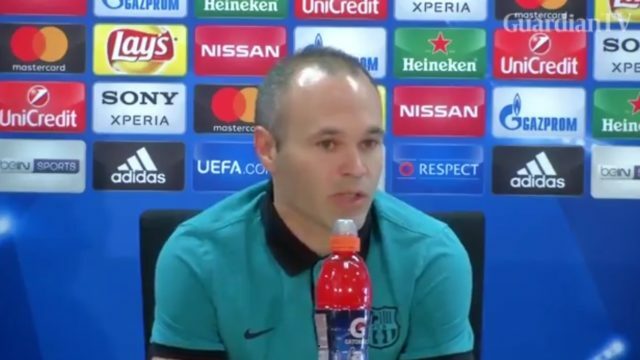 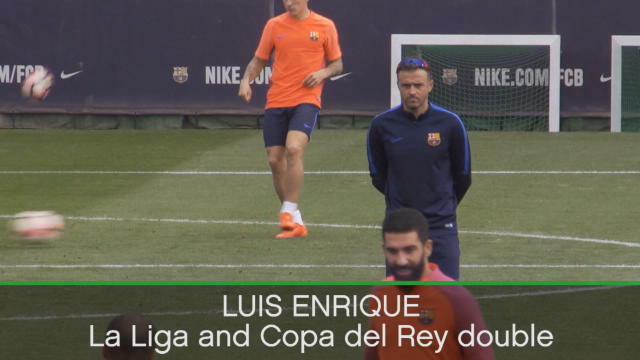 As the La Liga title race comes down to the final game of the season, Barcelona head coach Luis Enrique has urged his players to focus. 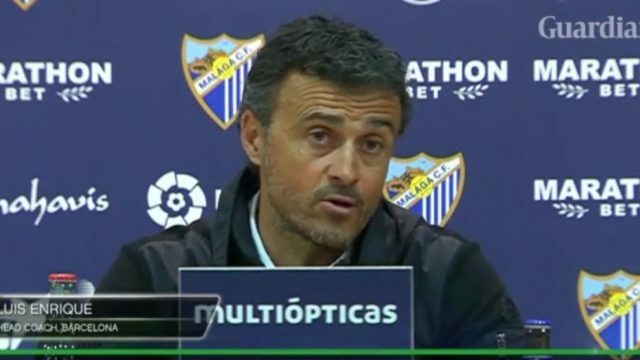 Barcelona manager Luis Enrique is looking forward to receiving presents for his birthday but insisted he doesn't want a cake from any reporters. 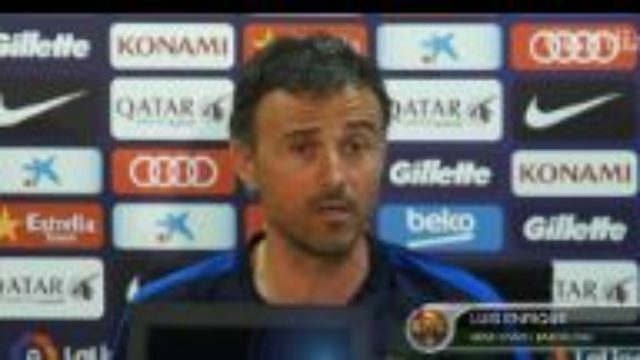 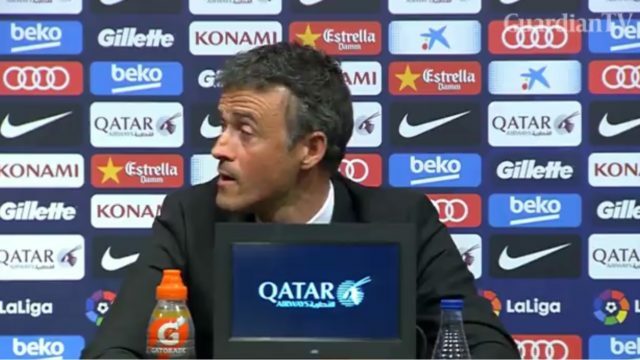 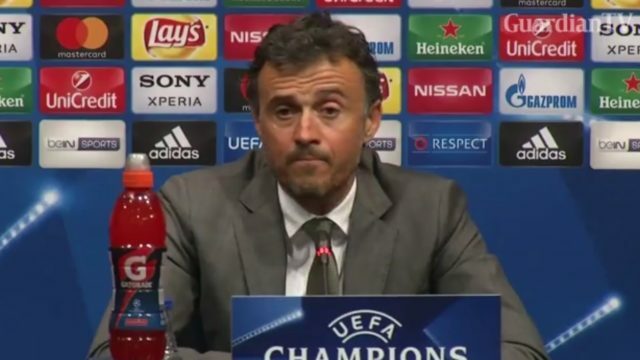 Luis Enrique enjoys Lionel Messi's late Clasico winner. .
Barcelona coach Luis Enrique says his side paid for their mistakes in the first leg against Juventus. 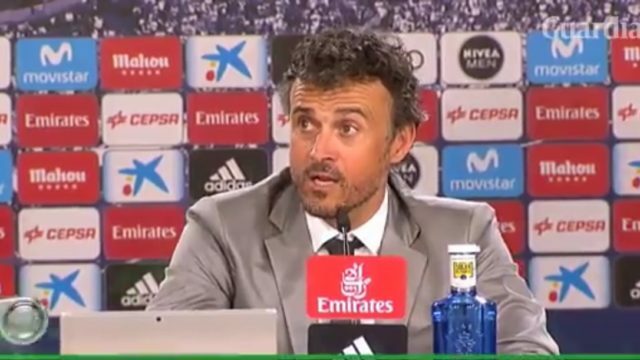 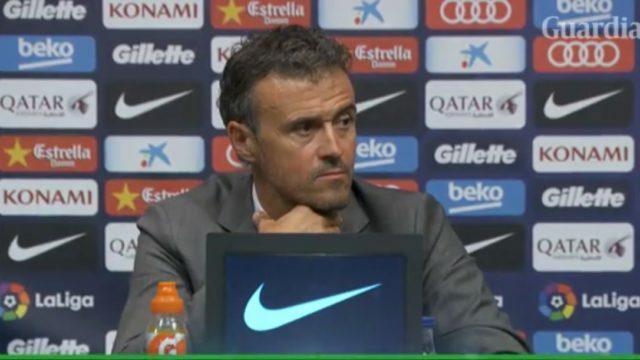 Luis Enrique has announced that he is leaving Barcelona at the end of the current season citing the exhaustion that comes with being in a high-pressure job. 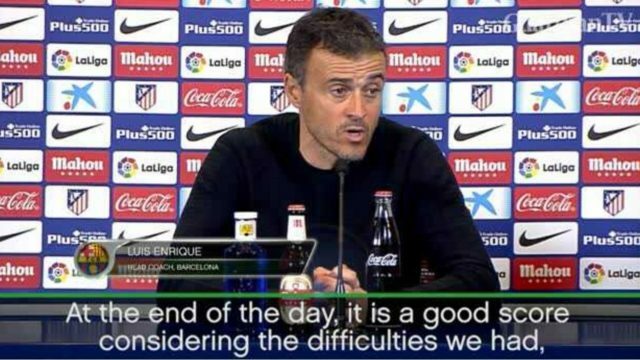 Barcelona head coach Luis Enrique admitted he was pleased to come away from the Vincente Calderon with a 2-1 win over Atletico Madrid in the sides' Copa del Rey semi-final first-leg.